To increase the wealth of the shareholders of any organisation which chooses to utilise our services. Let's determine the key profit drivers in the business. Then develop and agree Profit Improvement Plans or Strategic Business Development programmes, as appropriate to the current needs of the business. Build meaningful working relationships with key individuals in the business to ensure these plans are implemented. An experienced Independent Company Director and Business Advisor with considerable commercial and governance competence, gained from Chief Executive or similar roles in businesses successful in sectors such as Engineering, Construction, Plastics, Timber, Forestry, Building Products, Seafood, Food Processing, Manufacturing, Exporting, International Trade, International Marketing and Distribution. 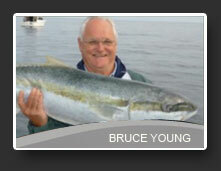 Since 2003 Bruce has been an Independent Company Director and Business Advisor active in many sectors of commerce. Bruce largely works on his own for his clients using his wide range of business skills, often working closely with the existing advisors to the company – accountants, lawyers etc. and if required Bruce also has access to a wide range of associates who can perform specialist aspects of an agreed business development programme.